In my case I have multiple cards in a scrollView, which contains a linear layout. I did not use a recycler view because the number of cards is always about the same (below 10). One of the cards contains two recyclerviews showing a list of for example comments. The problem is that I can't find a way to disable scrolling of the internal recyclerview without causing it to not scroll at all and show incomplete data. Use a NestedScrollView and put your RecyclerView inside it. If you wish the RecyclerView to become a scrolling part of your NestedScrollView, set nested scrolling to false. If you want an independent scroll you don't need to do anything since nested scrolling is set to true by default. Not the answer you're looking for? Browse other questions tagged android android-recyclerview material-design android-cardview or ask your own question. Shadow/Elevation from Collapse Tool Bar Don'tWork With Recycler View? 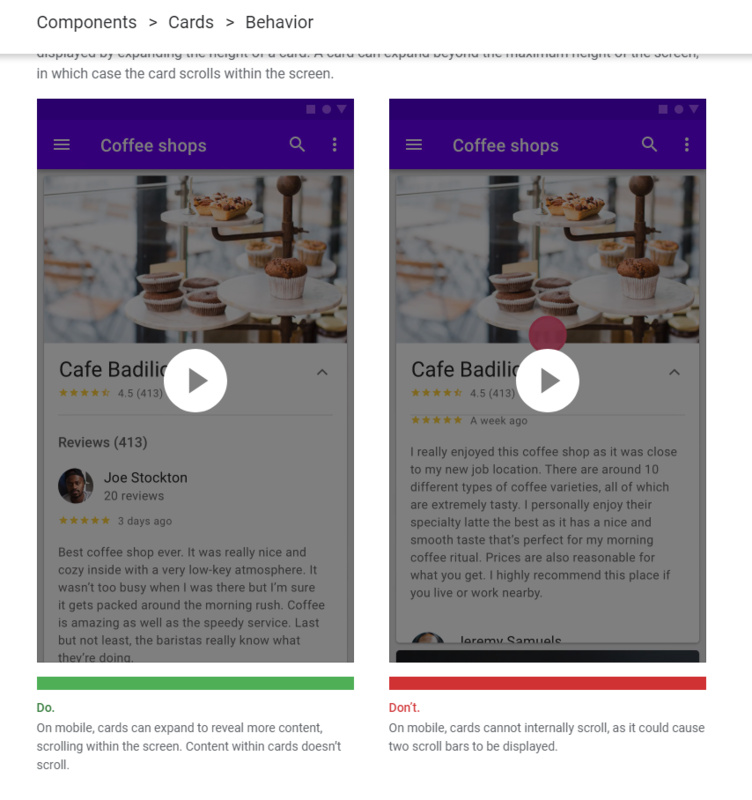 android: how to use an scrolling layout into our recyclerView layout?